This level is easy as you need to make just wrapped candy but could be little tricky as you also need to balance the Odus owl.For this level you should try to play from bottom of the board so candies will shuffle everywhere then try to make wrapped candy where you get chance. Try to play till second last move as you will get chance to make wrapped candy anytime plus moon struck will give more chance. 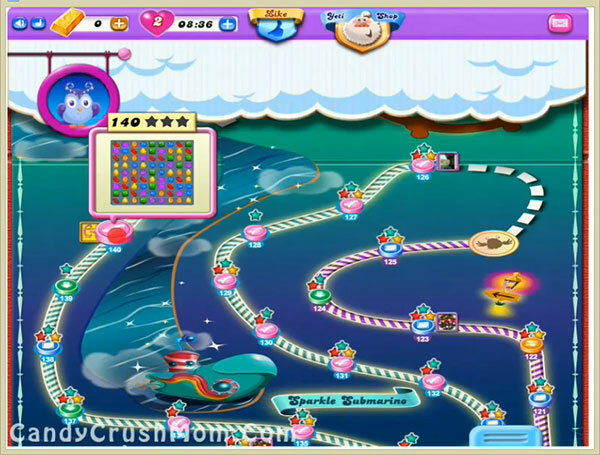 We completed this level with 414900 just focusing on making wrapped candies plus reach requirement with less move that help to get three star score.